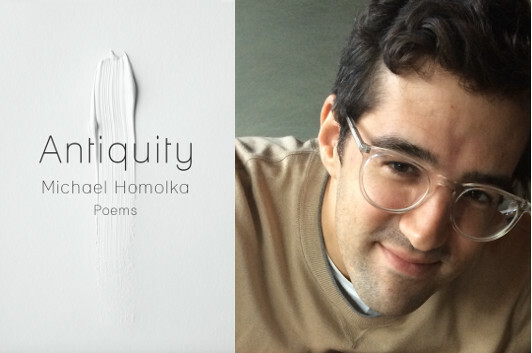 Michael Homolka’s Antiquity is the recipient of the 2015 Kathryn A. Morton Prize for Poetry. (Longtime Beatrice readers may recognize the Morton Prize, as a previous winner, Jordan Zandi, shared his love for Szymborksa with us.) Homolka’s poems play with classical forms, sometimes reminding me of Stephen Burt, but always with an emotional tone that feels uniquely his own. 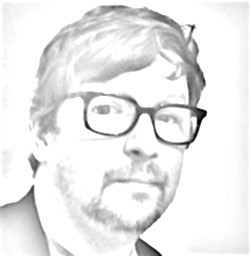 In this guest essay, he talks about two poets who helped him find his voice. I’m twenty-six years old at the time, ambitious to the point of hostility, jealous of every poet, jealous of every teacher. I’ve been working in book production in New York City for a few years; I go home every night and stay up until two or three in the morning revising drafts. So far I write only narrative poems. This June in Vermont marks the second of five residencies toward my degree. 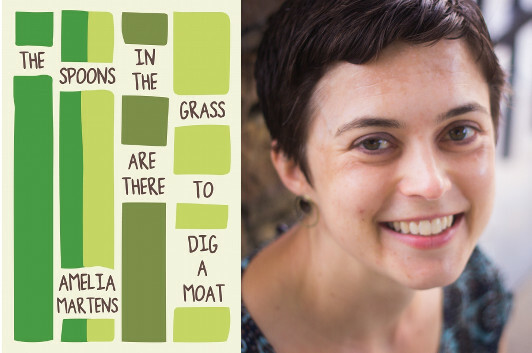 Each of the poems in Amelia Martens’s The Spoons in the Grass are There to Dig a Moat is a surreal scene, just a paragraph in length. (Well, okay, some of them are a few paragraphs, but let’s not quibble). A poem like “We Will Be Long Gone” unfolds with the logic of the answers to a child’s persistent bedtime questions, while others, like “Collection” or “Tuesday,” place Jesus in the midst of unsettling but largely recognizable tableaux—in the case of the haunting “Newtown,” all too recognizable. In this guest essay, Martens reveals a key influence on the dream-like specificity of her vivid imagery. As an extremely near-sighted person, I have a history of up close experiences with the visual. Literally. Without my glasses, no one has a face. As a kid I read at night without my glasses and the pages brushed my cheek. I have also found it necessary to visualize—what I’d like to have happen in a given situation, what might happen, how a machine (or IKEA bookshelf) is put together, how much of everything I own will fit into a U-Haul so that I can drive it from California to Indiana. I’m a nearly blind visual person. Perhaps this is the reason imagery is a vital concern. Words make pictures; the right words make readers not notice the picture being made; instead we are sucked into the feeling. The visual becomes visceral. In my second semester of the IU MFA program, in our poetry workshop, Maura Stanton assigned several collections that we were to read. Lee Ann Roripaugh’s Year of the Snake, which had recently been published by Southern Illinois University Press with a glossy half tattoo/half black cover, had my attention immediately, as I had acquired a new tattoo just weeks before leaving the west coast. Visually, this was not a book of poems written by a dead white man. And I am a monkey. Okay. We were born in the year of the monkey. Monkey twins with parents who incorporated cosmology into our upbringing. All of this to say, Roripaugh’s book had me at the outset. I read these poems as a newly minted poet; somehow being in a poetry program made me “official.” I read them as a woman who had just moved from the Pacific Ocean to the Midwest. I had never been as weird as I was when I arrived in Indiana. People talked about California as if I’d come from Mars. What’s it like there? Do you surf? In Roripaugh’s poems I found encouragement, for my strangeness. And delight in the line as an image splitting tool.